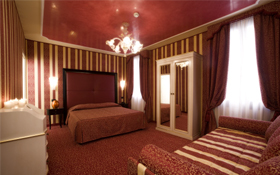 The Hotel Alcyone Venice offers stylishly cheap accommodation from a selection of 21 elegantly designed modern rooms extremely close to the Piazza San Marco and Rialto Bridge in the centre of Venice. The 21 air conditioned rooms have been recently refurbished and each of the single, double, superior and triple rooms include many modern conveniences. 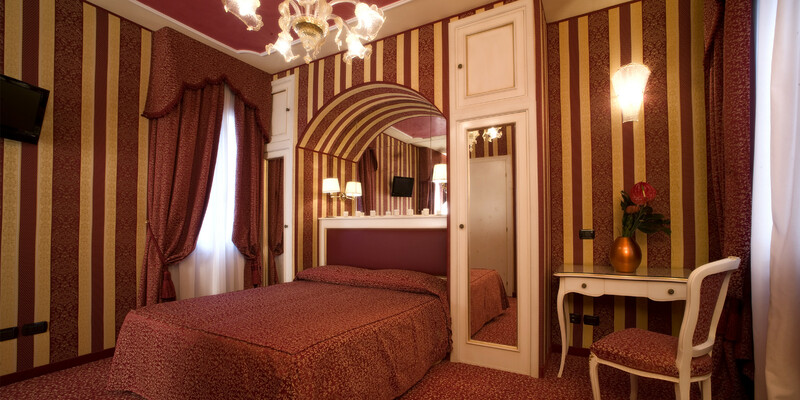 Each Rooms have been meticulously decorated to create a unique living area which complements the rich history and architecture of Venice – Venetian rooms are famously sumptuous and grand and the Hotel Alcyone Venice accommodation is no exception. 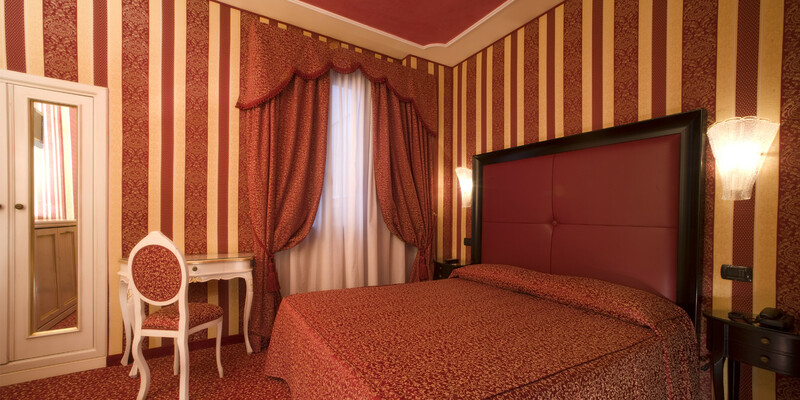 Rooms are furnished with unique Venetian furniture, vibrant decorated rooms with rich colours, luxurious drapery and curtains and beautiful large mirrors. 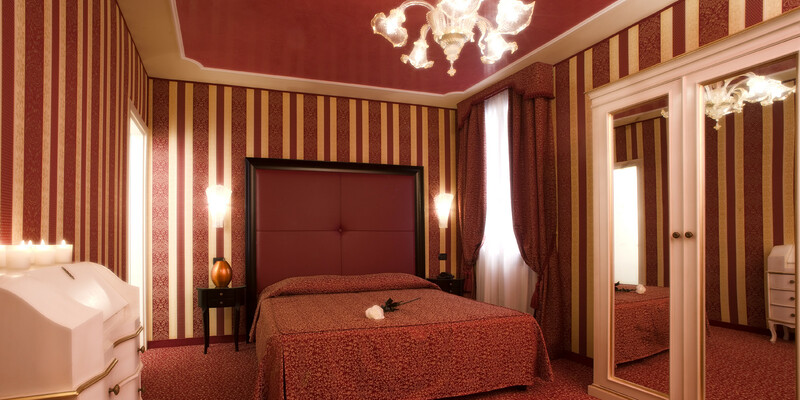 To see the rooms for yourself visit the Hotel Alcyone Venice Video Tour page where interested travellers can wander round the centrally located 3 star family run hotel. 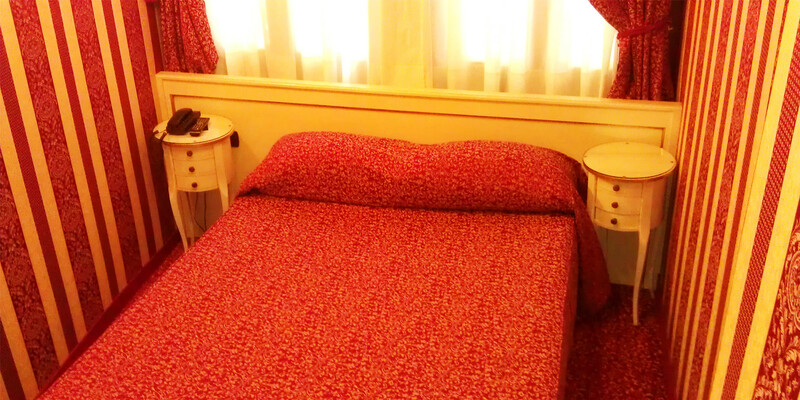 Some of the cheap rooms provided boast panorama views out over one of the many beautiful canals of Venice. The view offers a welcoming picturesque sight with passing gondolas typical of this unique and beautiful floating city.